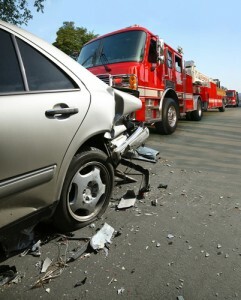 What is a Car Accident Case in Michigan Worth? Below are sample verdicts and settlements in Michigan traffic accident cases in 2013. These verdicts can help you get a better understanding of the value of personal injury vehicle crash claims in Michigan. That said, take these verdicts with a grain of salt. No two cases are exactly alike. I have been doing this a long time and there is no average personal injury and, importantly, you should know that these cases were not exactly pulled at random. Snyder v. Greenhouse Birth Center | 2014 | $5,000,000. An infant is born with organ failure and severe brain damage following a breech delivery performed by a mid-wife. He is hospitalized for thirteen days before he sadly passes away. The parents file suit against multiple parties including the midwife who told the parents that it was safe to attempt a vaginal delivery of a breech baby outside of the hospital setting. Each party dropped out, one by one claiming bankruptcy, except for the midwife who failed to respond to the Plaintiffs’ allegations. The Plaintiffs won a default judgment against the midwife in the amount of $5 million dollars. The midwife, however, carried no insurance to cover the verdict. So, sadly, $5,000,000=$0. Cress v. Willhite | 2013 | $3,717,948 Verdict. A pastor is driving with his wife when the defendant – insured by Travelers – crosses over into his lane and strikes the couple with his vehicle head-on. The pastor suffers many injuries, including a traumatic brain injury, a double crush injury to his cervical and thoracic spine, misaligned eyes, and depressions and ruptures of his cervical and thoracic regions. The pastor is eventually dismissed from his job due to his injuries and he files suit. Defendants admit liability but contend that the plaintiff could not have suffered a TBI because he did not strike his head. Plaintiff’s experts show that the pastor’s previous history of concussion and the acceleration/deceleration forces alone can cause the injuries. An Oakland County jury awards a $3,717,948 verdict which included a $698,500 loss of consortium damages for the wife. Rozema v. Curragh, et al. | 2013 | $500,000 Settlement. An 18-year-old girl is broadsided and killed by a drunk driver in the middle of an intersection. The drunk driver had just left the defendant’s pub seventeen minutes before and was driving at twice the speed limit (50 mph). The driver is sentenced to jail for three to fifteen years, and the victim’s estate sues the pub for negligently serving alcohol to a visibly intoxicated person. In Ottawa county, the parties reach a settlement for half a million dollars– the pub pays $400,000 and the driver pays $100,000. No insurance carrier was mentioned. Field v. McDevitt | 2013 | $320,000 Verdict and Settlement. Plaintiff is in the front passenger seat of a 4×4 Jeep Wrangler. The driver crashes the jeep into a tree at high speed, killing himself and severely injuring the plaintiff. Plaintiff needs to be cut from the wreckage and taken to surgery. He suffers cervical fractures needing a three level cervical fusion, massive cuts to the right thigh, and a right shoulder dislocation. Plaintiff settles with the vehicle’s owner, the late driver’s sister, for $20,000. USAA, the driver’s stepfather’s carrier, disputed coverage, stating that McDevitt was in the military for the past year and not part of the “resident relative” policy. A judge holds that USAA had coverage that extended to McDevitt, and it is affirmed on appeal. A Van Buren County jury awards $300,000 to the plaintiff. Harris v. Payne, et al. | 2013 | $500 for EMS Bill (plus $125 interest) Verdict. Plaintiff is walking on the side of the road when defendant driver, a State Farm insured, ran over his foot. Plaintiff falls over backwards and injures his neck, back and head. And ambulance is called and plaintiff goes to the hospital. Plaintiff claims that State Farm breached its contract by failing to provide first party benefits, saying he provided all the needed evidence. State Farms concedes that the injured was taken to the hospital but says that he did not seek any additional care. A Wayne County jury awards the plaintiff $625. Walker v. State Farm | 2013 | $43,118 (plus penalty interest and no-fault attorney’s fees) Verdict. State Farm – because they are State Farm – refuses to honor an accident claim made by the plaintiff, saying it is fraudulent. Plaintiff claims a hit-and-run vehicle struck his own in an intersection. Plaintiff offers the testimony of his three passengers and the vehicle damage to confirm this story. Defendant argues that the accident could not have happened the way it was described and that the testimony was conflicting. A Wayne county jury deliberates for four hours and decides to award $43,118 to the plaintiff. Harris v. Auto-Owners Insurance. | 2013 | $65,000 Verdict. A 45-year-old man is rear ended by the defendant. Both men leap out of their cars brandishing knives, but no altercation occurs. Defendant is uninsured, so plaintiff seeks recovery under his uninsured motorist policy through Auto-Owners Insurance Co. Plaintiff claims the defendant driver failed to keep a safe distance between the two cars and caused the accident which tore plaintiff’s rotator cuff. Defendants claim plaintiff caused the accident when he slammed on his break for no apparent reason. A Wayne County jury awards the default judgment of $65,000. Martinez-Santiago v. MTA Transport, LLC | 2013 | $170,000 Settlement. Plaintiff is attempting to make a left hand turn when she suddenly runs into defendant’s truck. Plaintiff’s vehicle spins and is overturned on its side. Police responding to the scene claim the plaintiff was 100% at fault. The victim driver suffers a torn rotator cuff which requires surgery and limits her daily activities. Plaintiff contends that she was in the optional turn lane, while the defendant was in the dedicated turn lane—the accident happened when the truck went straight through the intersection. Defendant claims that the plaintiff was in the incorrect lane and that the sustained injuries are not severe. The parties reach a $170,000 settlement in Wayne County. For more on Michigan average tort verdicts, read on.